Artist Jason Mecier creates insanely detailed portraits of celebrities using trash, candy, and other items, crafting sculptural celebrations as beautiful as they are outrageous. 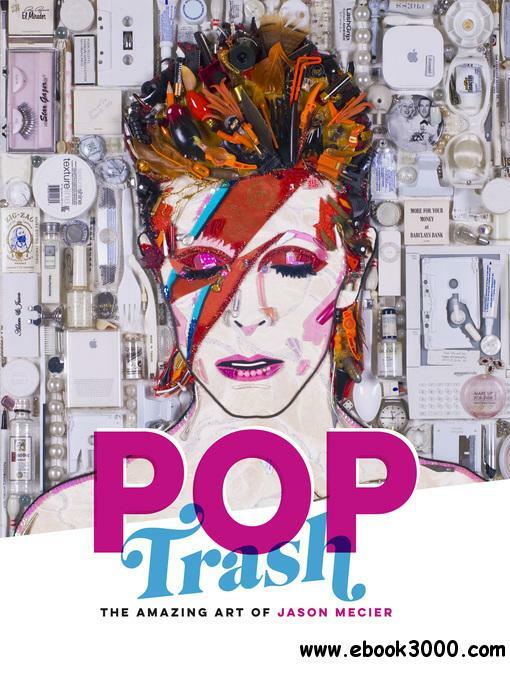 Here is Amy Sedaris assembled from her own trash, David Bowie made out of cosmetics and feathers, Snoop Dogg sculpted out of weed, Justin Timberlake and Miley Cyrus crafted out of candy, Kevin Bacon bespoke in bacon, and many, many more. Fun process shots offer behind-the-scenes insights into the meticulous work required to create these candy-colored-and literally trashy-spotlights (how much licorice does it take to make Harry Potter?). With mesmerizing tributes to icons ranging from Stevie Nicks to Farrah Fawcett to Honey Boo Boo, this gallery of the famous and infamous is a visual treat for fans of pop culture and pop art alike.